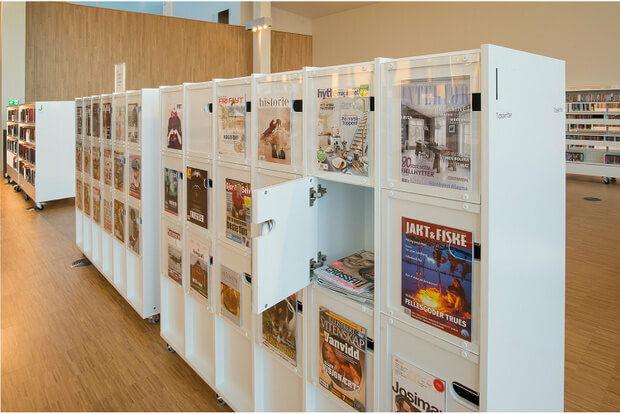 Functional storage and display of magazines! 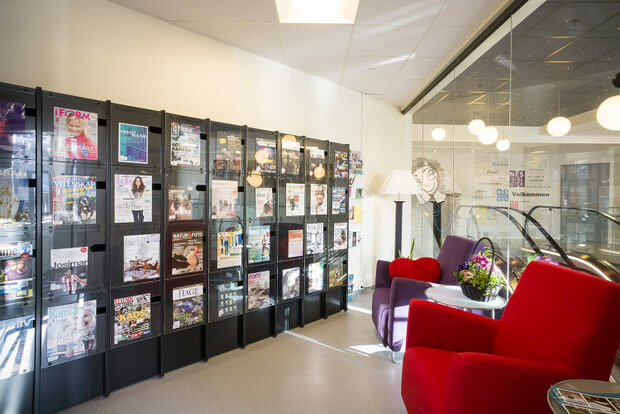 With the acrylic display on the cabinet door, it is easy to find the specific magazine you want to read. Open the cabinet door, and you will find older versions of the magazines easily and logically stored. There is also room for vertical storage boxes inside the cabinet.